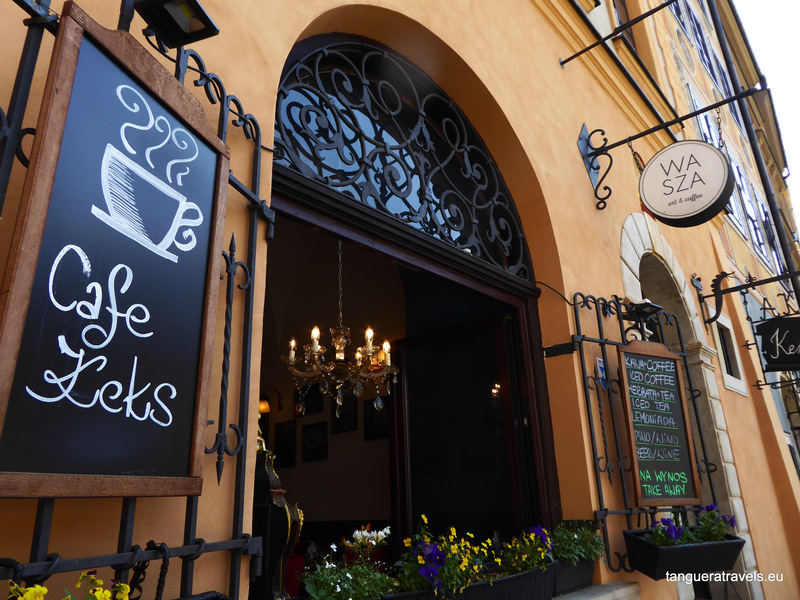 A guide to exploring central Warsaw on foot, discovering the city’s sights and stories along the way. It was too hot, too humid, too noisy. I was tired and I was lost even though I knew the guesthouse couldn’t be far away. I asked three people who had three different views on where Smolna street was located. Perhaps I misunderstood, as I was trying to ask in Polish and I had difficulty to follow their responses. 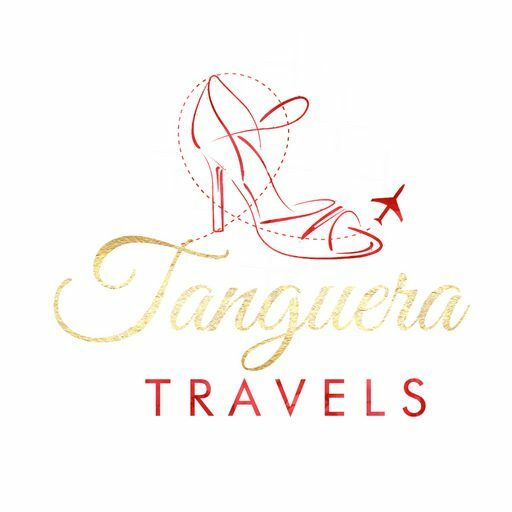 I dragged my suitcase along the many cobbled streets which radiated out from a busy crossing in the middle of which stood a single palm tree. Eventually, I asked a fourth person who heard my accent and asked if I spoke English. She pointed across the road, to the right of the palm tree which I had now seen from all angles. “Smolna street!” she declared triumphantly. I had spent more than half an hour walking around and around, having passed close to the entrance to the street which was just behind a small park. I found the guesthouse and checked in. They told me that there would be a Chopin concert a little later, so I decided not to go out again that evening. 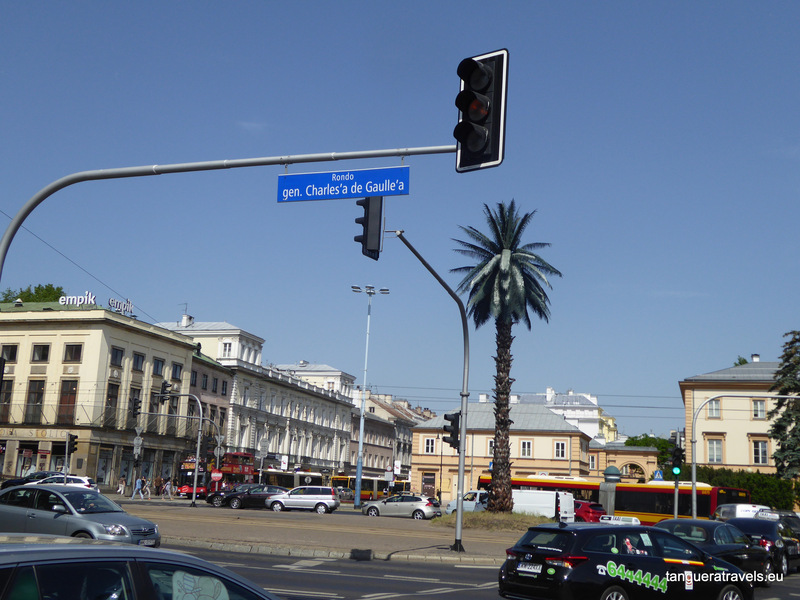 My visit to Warsaw started with a lot of walking and over the next two and a half days, I continued exploring the city on foot. There was also some tango, which I wrote about in a previous post. This walk starts at the Academy of Sciences. 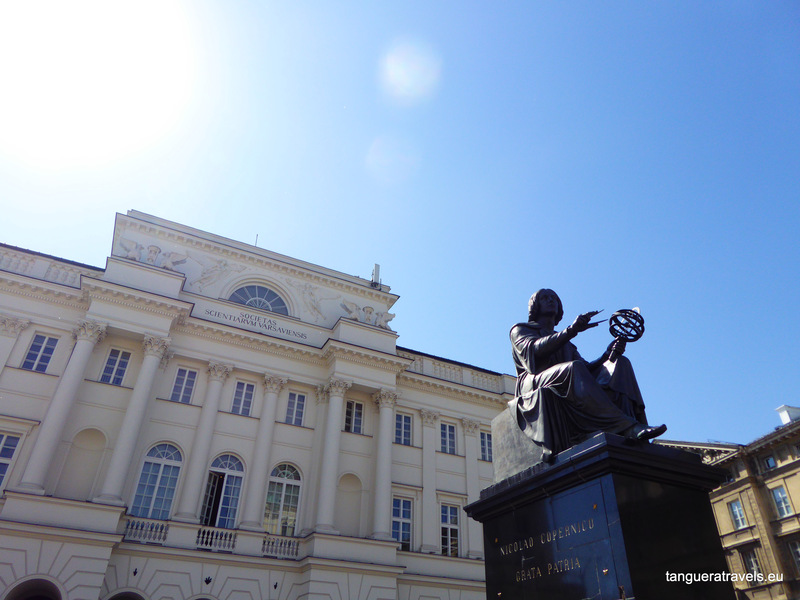 You can recognise it easily by the statue of Copernicus which stands in front of it. 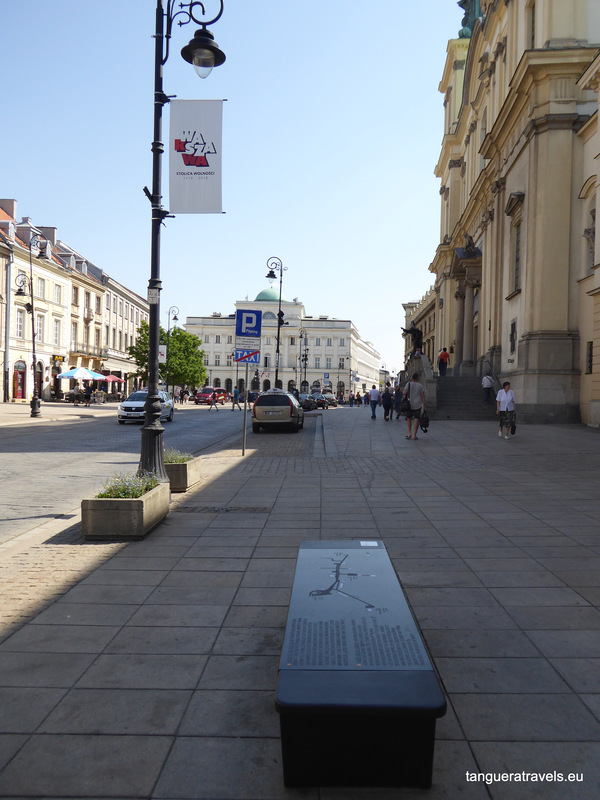 To the right of the statue (if you are standing in front of it) is a bench with some information about one of the city’s most famous composers, Frederic Chopin. Press the silver button and you can listen to an extract of one of his compositions. There are benches like this all over the city, close to places where Chopin played, where he or a member of his family lived. 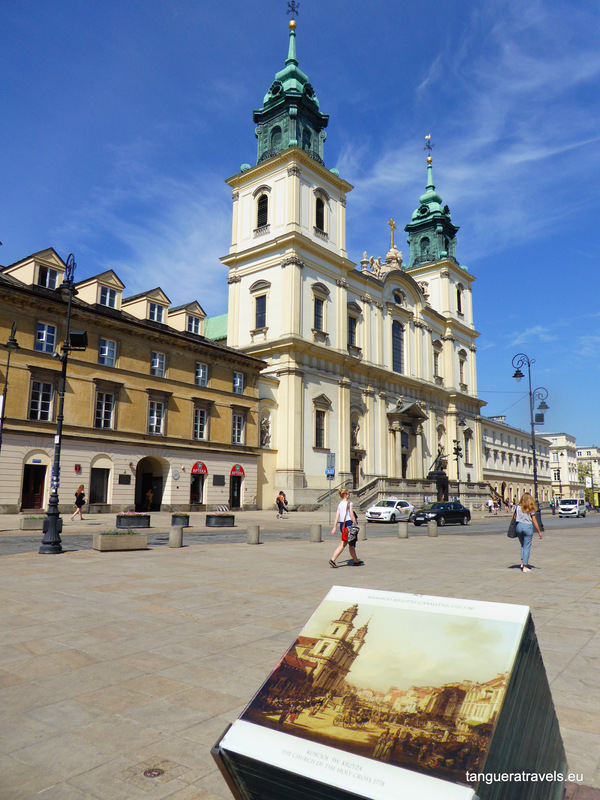 Beyond the Copernicus statue, on the left side of Krakowskie Przedmieście, you can see the Church of the Holy Cross. This church is the final resting place of Chopin’s heart. After the composer died in Paris, the Russian authorities refused for him to be buried in Poland (which did not actually exist as a country at the time). 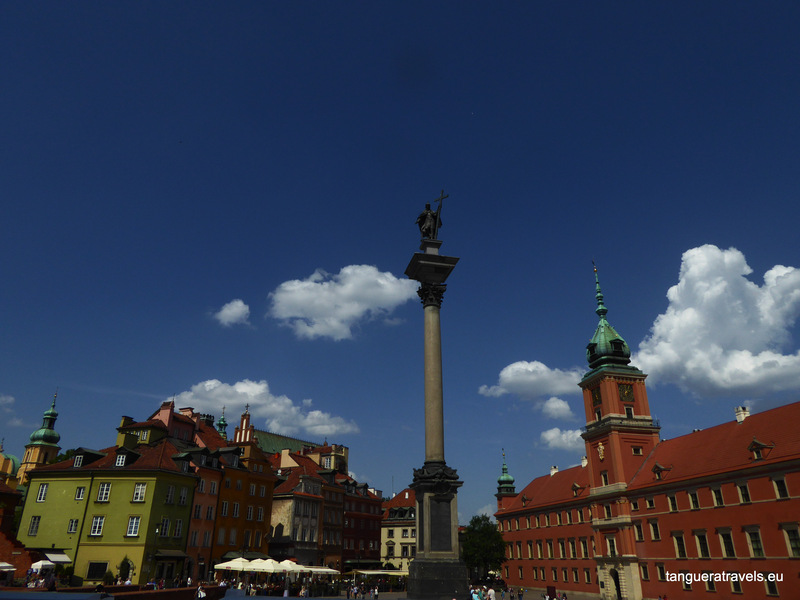 The story goes that he had requested that at least his heart should return to Warsaw. His sister succeeded in smuggling it back in a jar filled with alcohol. It remained there until the Nazis removed it after their invasion of Poland. It was returned after the war and has remained in the church almost undisturbed ever since. On the other side of the street, a tile set into stone depicts the Church as it was in 1778, as painted by Venetian artist Bernardo Bellotto (sometimes referred to as Caneletto, after his famous uncle). He was made court painter to the King of Poland in 1768. One hundred and fifty years later, his paintings served as the blueprint for re-building key locations around the city after it was destroyed during the Second World War. The university is also along this street. There are plenty of cafes and restaurants to take a break, as well as a few shops. If you follow the street to the end you arrive at castle square. 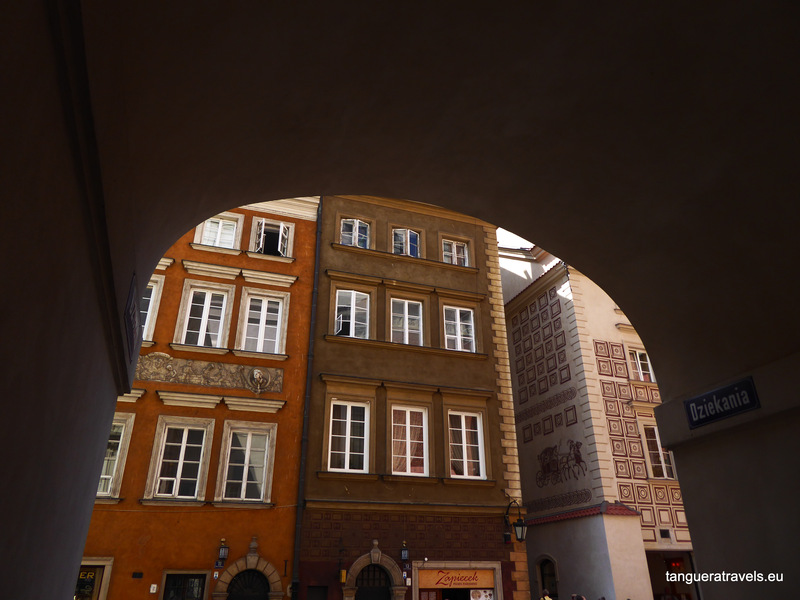 This is the start of the old city, Stary Miasto. The castle now houses a museum which includes paintings by Caneletto among its collection. As you look at castle square, it is worth remembering that all of this was re-built from scratch after the end of the Second World War. 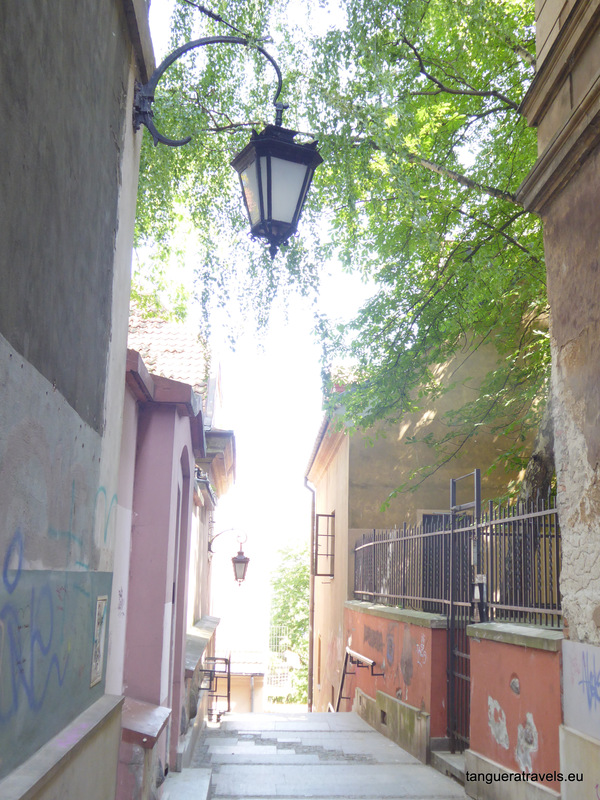 From here, I recommend wandering through the narrow streets of the old town. 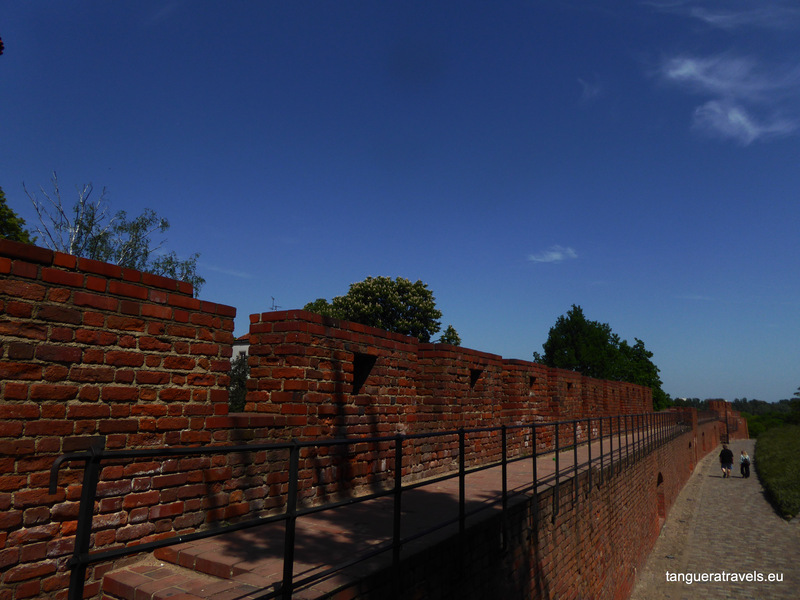 Eventually you will come to the old city walls and Warsaw Barbican. Like most of the city, this was largely destroyed during the Second World War and rebuilt in the reconstruction. 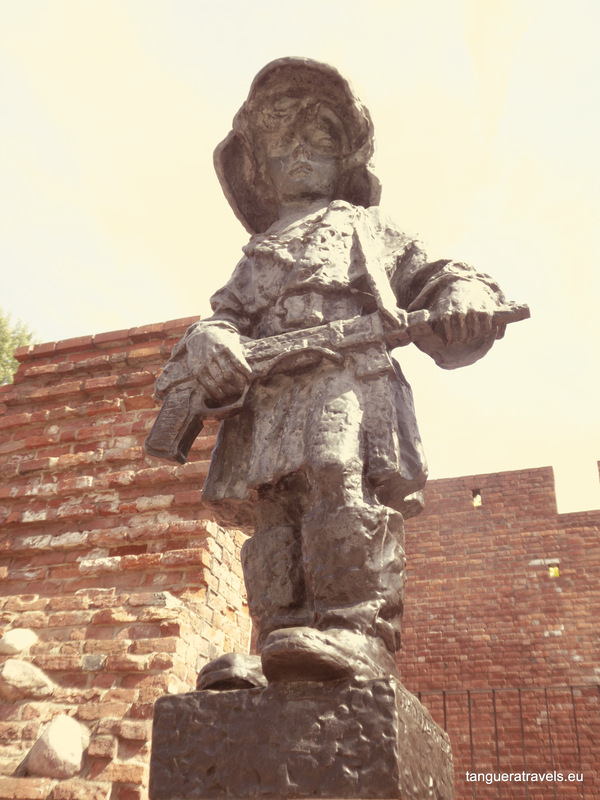 Nearby is Pomnik Mały Powstaniec (the little Insurrectionist), a monument to the children who fought during the Warsaw uprising. About five minutes walking from here is St. John’s Cathedral. Behind it, you can find the wishing bell. Local lore has it that if you hop around it, the wish you make will come true. If it’s a bigger wish though, you’ll need to hop around it three times. These narrow streets eventually lead to the main square. 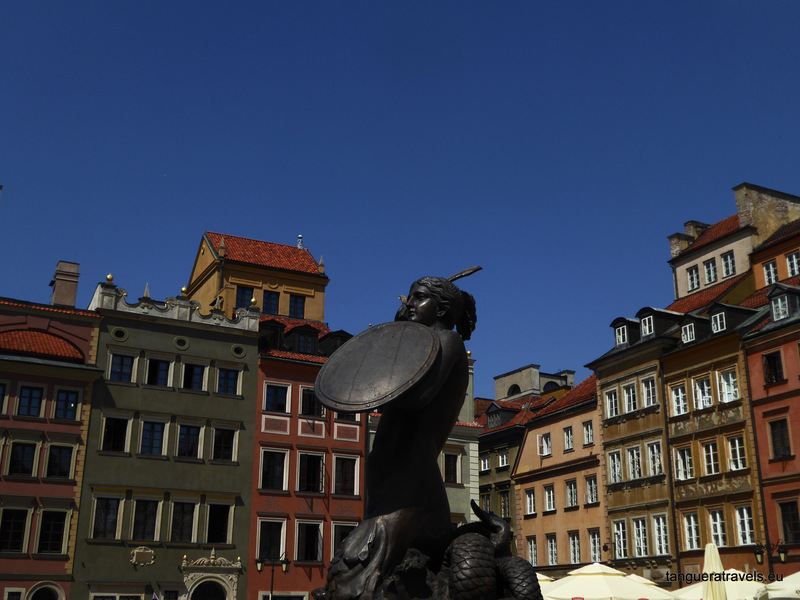 In the middle is a statue of a mermaid, the Syrenka, a symbol and protector of Warsaw. If you haven’t already taken a break, perhaps now is a good time to do so, especially after all that hopping! I highly recommend Cafe Keks, directly on the square. Considering the location, the price is still reasonable. They serve a range of homemade cakes, as well as teas and coffee. 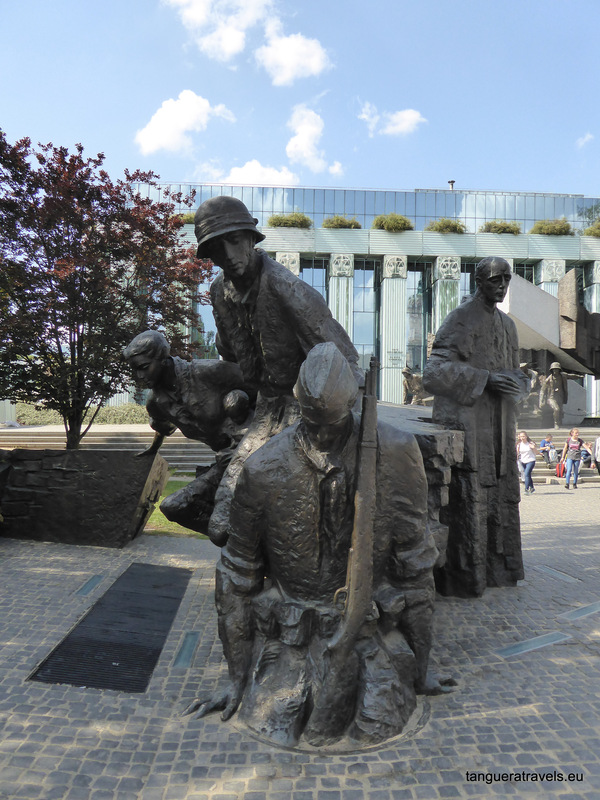 About ten minutes walking from the Old Town market square is Krasiński Square, where the memorial commemorating the 1944 Warsaw uprising is located. It consists of two parts. A smaller one at the bottom of the steps shows a group descending into a manhole. This is a reminder that members of the resistance used the sewage system to move through parts of the city which were occupied by the Nazis. 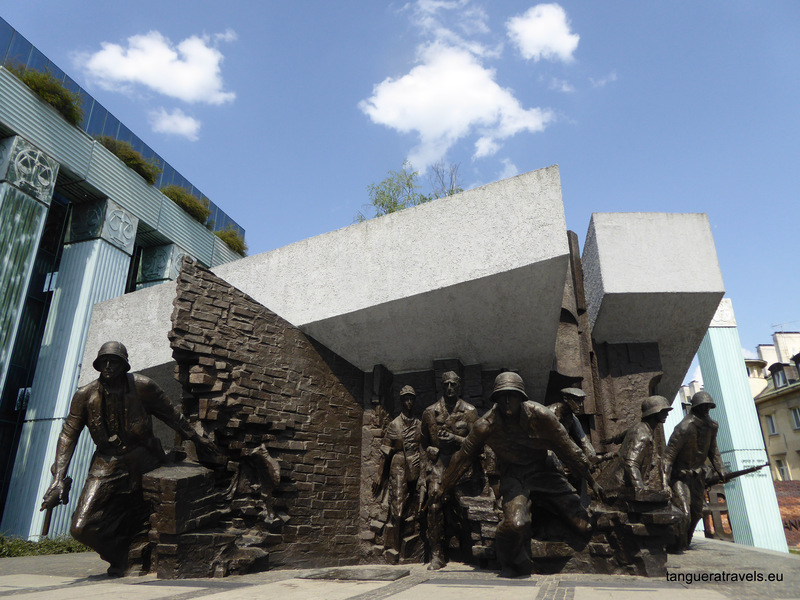 The main part of the monument, at the top of the steps, shows a group of insurgents charging forwards from beneath a collapsing building. On the other side of the court is Krasiński Park, which is very close to the Złoty Milonga Club which I wrote about here. 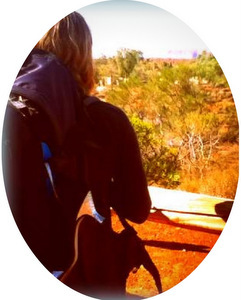 After all that walking, why not finish off your day with some music? 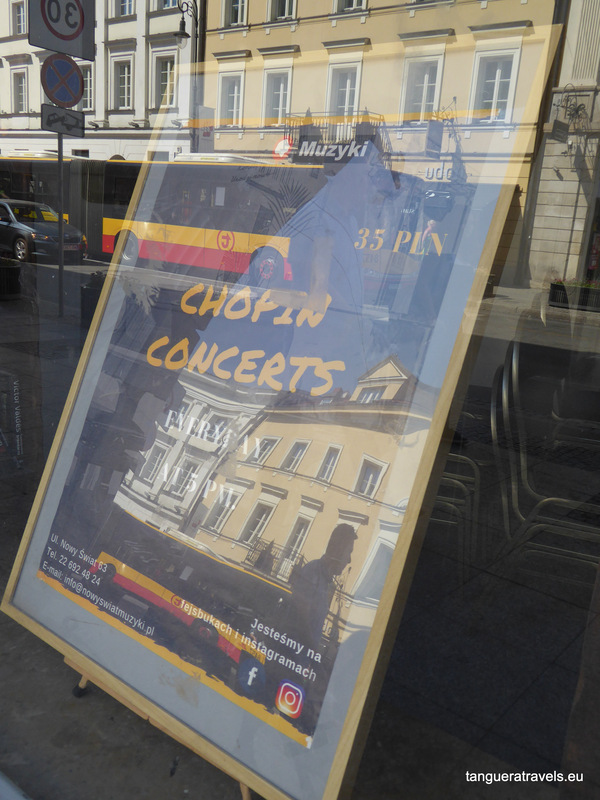 There are plenty of Chopin concerts some of them even for free. This site gives a good overview. The hotel where I stayed organises a Chopin concert every evening at 7:30pm. Wine and cake is included in the entrance price (guests get a discount). More information here. If you have any tips or thoughts about visiting Warsaw, I’d love to hear from you in the comments below! 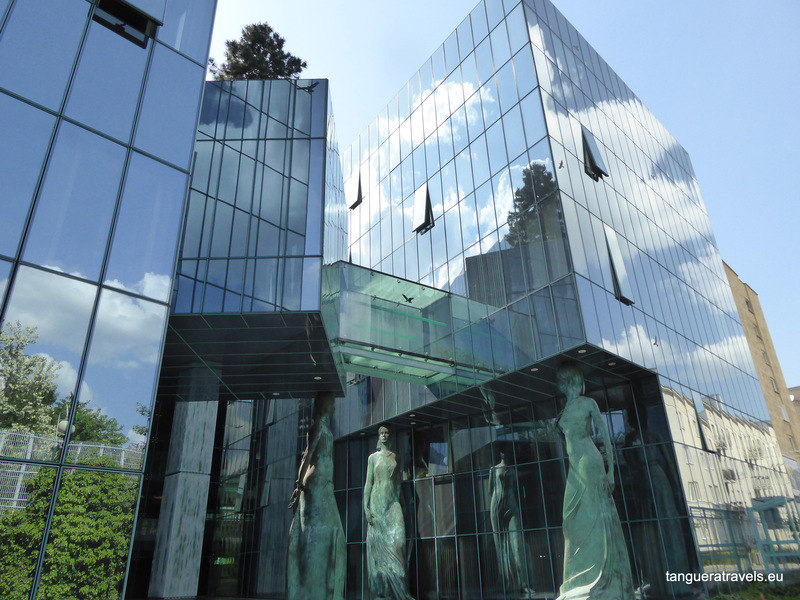 Missed my post on dancing tango in Warsaw? You can read it here.